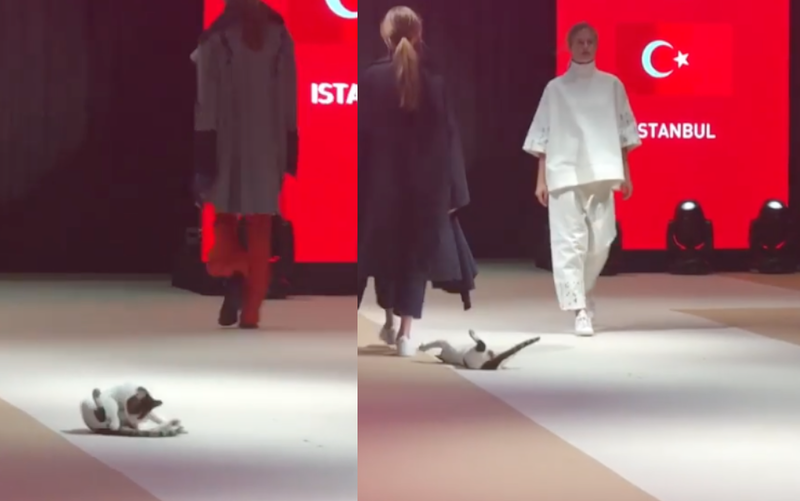 A cat stole the show at the recent Esmod International Fashion Show in Istanbul, Turkey by preening itself, playfully attacking models, and actually walking the catwalk. Fashion designer Göksen Hakkı Ali told The Dodo, "Everybody was in shock." I'm dying, this is too good! Brb, gonna go watch it a hundred more times.